The lucky winner of April’s $200 Steiner gift card is Scott Abbott of Cochranton, Pennsylvania. 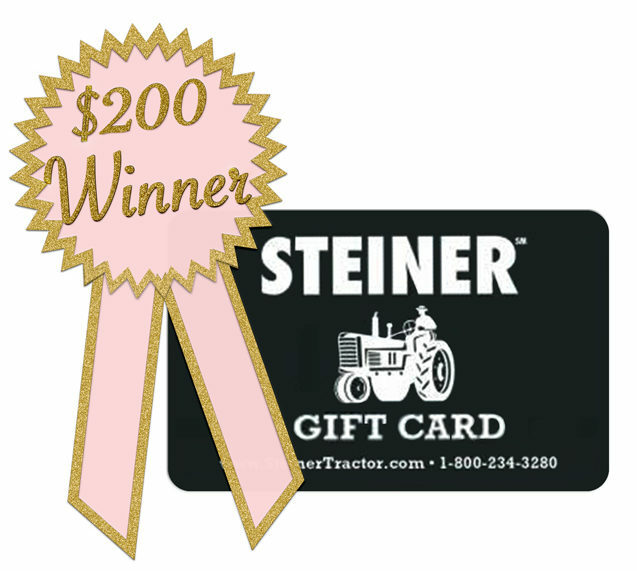 Scott has been a Steiner customer since 2013 and became a subscriber in 2015. His favorite tractor brand is John Deere. Congratulations, Scott! The lucky winner of March’s $200 Steiner gift card is Bill Rueth of Loyal, Wisconsin. 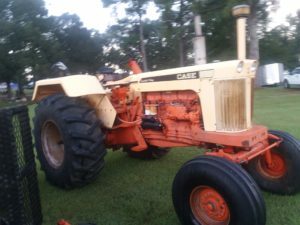 Bill has been a Steiner subscriber since 2015 and his favorite tractor brand is Farmall. Congratulations, Bill! 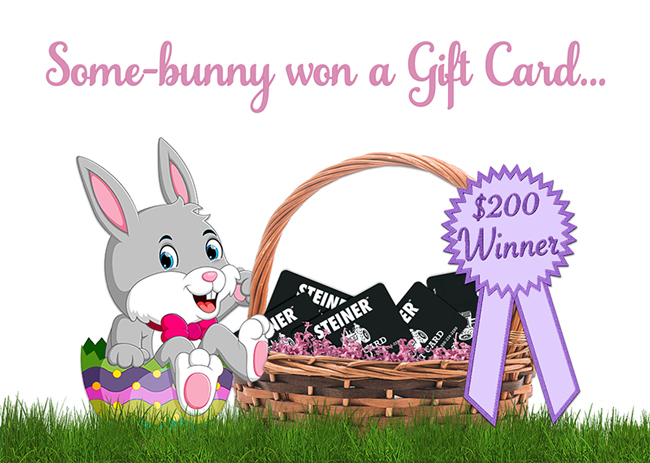 Would you like to receive our monthly newsletter and be enrolled for a chance to win a $200 gift card? Sign up now! 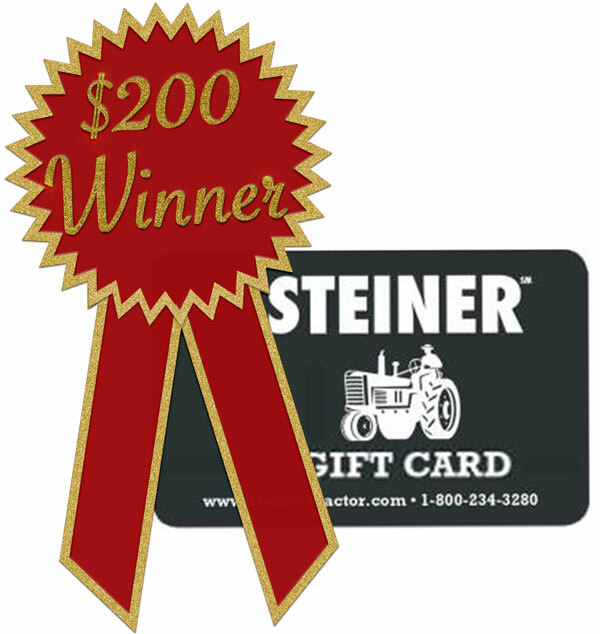 The lucky winner of February’s $200 Steiner gift card is Harold Miller of Louisville, Kentucky. 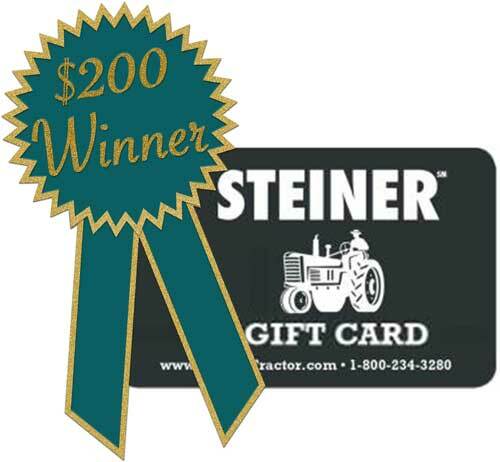 Harold has been a Steiner subscriber since 2014 and his favorite tractor brand is John Deere. Congrats, Harold!